The date for my Tandem Skydive to raise money for RNIB has come around very fast. I guess it was always going to seeing as I only booked it five weeks ago! It was one of those things I’ve been thinking/talking about for quite a few years, I just ended up booking it. And I’ve very lucky with the sponsorship in that short space of time – I have raised my target of £395 for RNIB, which I am really pleased about. Thank you to everyone who has sponsored me. The title of this post is nothing to do with my nerves (although they are definitely starting to pick up a bit! ), but more to do with a bit of a volcano problem. 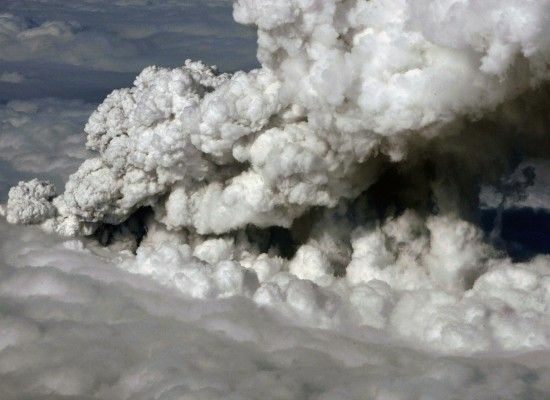 I never thought I’d ever be blogging about a volcano problem in the UK, but I am… and the ash from that volcano that errupted in Iceland hanging over England has grounded pretty much all aircraft in this country for the last few days, including the planes at the airfield I am supposed to be Skydiving at tomorrow. I spoke to the Parachute Club this morning and they’re really not sure if they can fly tomorrow – and obviously no flying means no Skydiving. It’ll be such a shame if my jump has to be postponed because of something like volcanic ash, right now I’m really looking forward to it! However atleast I can reschedule the jump for another time – I know there are many people stranded in various places across the world acting like the guys in Planes, Trains and Automobiles to try and get home. So I’m getting everything ready this evening like my cheque for RNIB etc in the hope that when I phone first thing in the morning it’s all still on (I’ll try and do a quick blog from my iPhone to let you know what time I’m jumping! )… if it’s not I’ll let you know the new date! Edit at 10.15pm… The BBC have reported that all flights (including those at East Midlands Airport, our closest) have been grounded until at least 1pm tomorrow due to the volcanic ash cloud so it’s looking quite unlikely that I’ll be able to do my Skydive tomorrow.